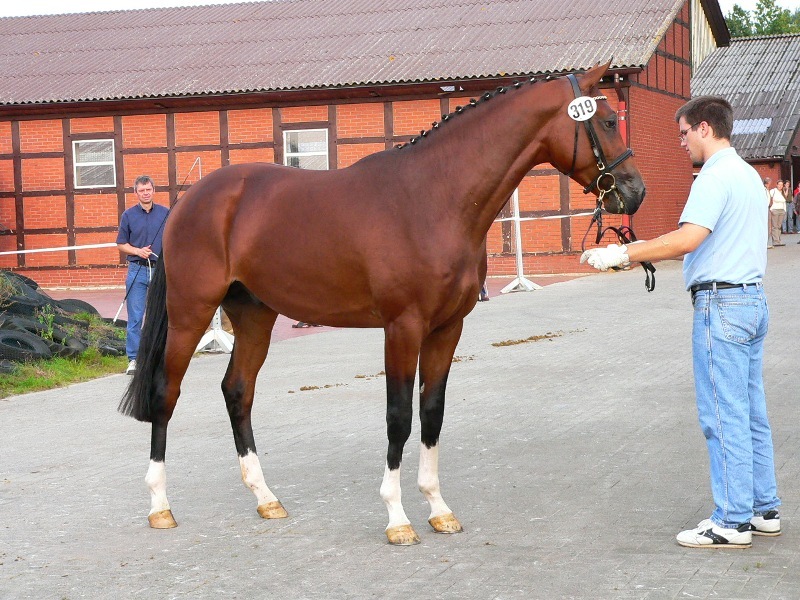 For horses from foal to top grand prix winners and all the many in between, we make it easy, for you to find exactly what you are searching for on a trip to Germany. Connect here for your Dream horse. Soon you will find here a group of very special horses that we encounter on our trips. For the most part it will be horses we have seen and evaluated personally and will give you an independent and neutral description of the horses. Please check this site again soon. 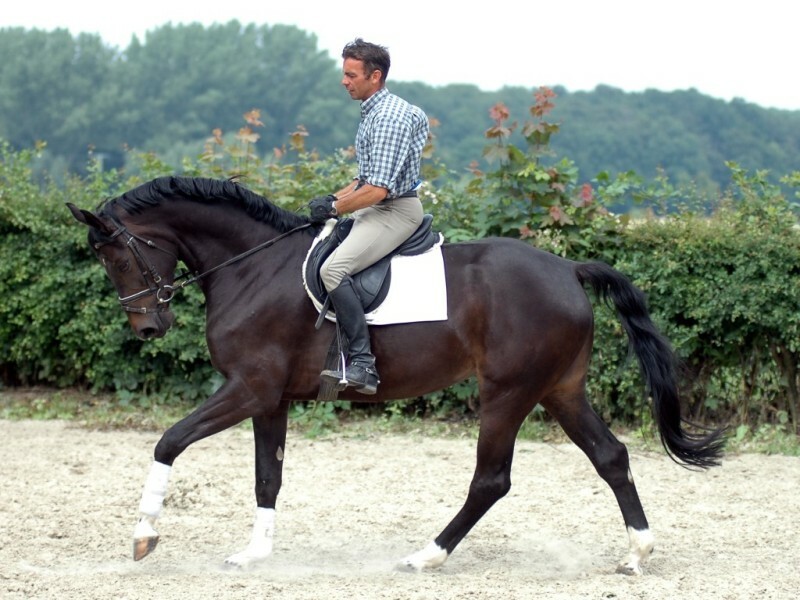 The best international dressage horses are German horses or horses with very strong German bloodlines. 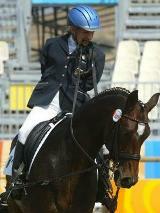 You will find in Germany dressage horses that are of superb quality and that suit many different wishes of the buyer. From the young green horse, just started under saddle to horses that are successful in international competitions at Grand prix level. 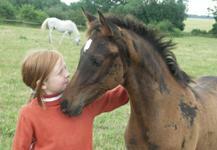 You will find with us a horse that suits your very personal wishes. 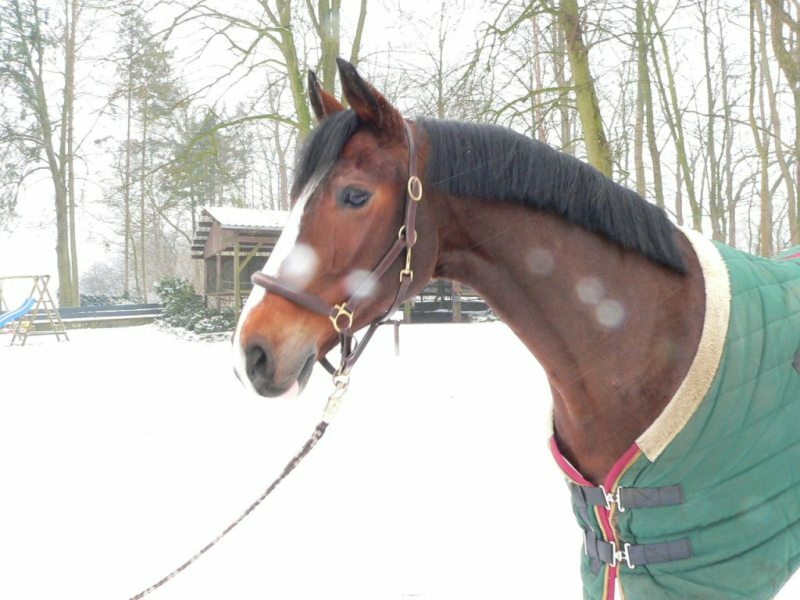 It is no secret, extraordinary horses with an incredible temperament and unbelievable ability wait for you. 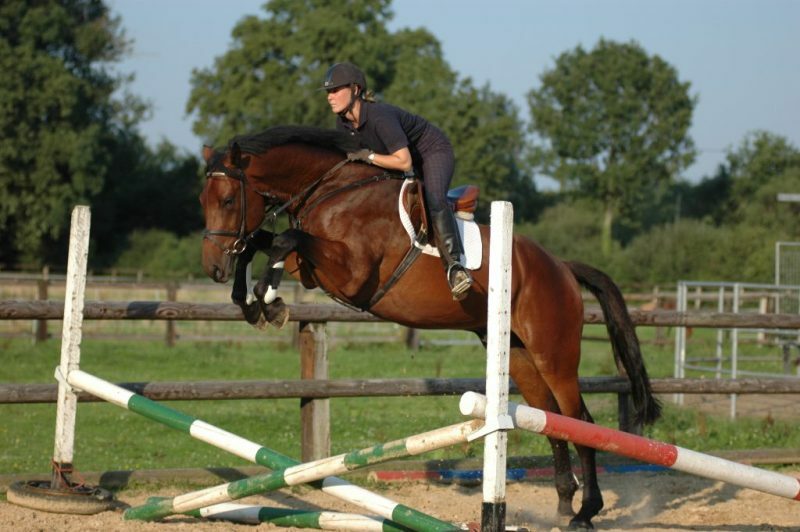 From the basic training classes, develop horses that are again and again in the top of international show jumping competition - you will find the right new partner among them. 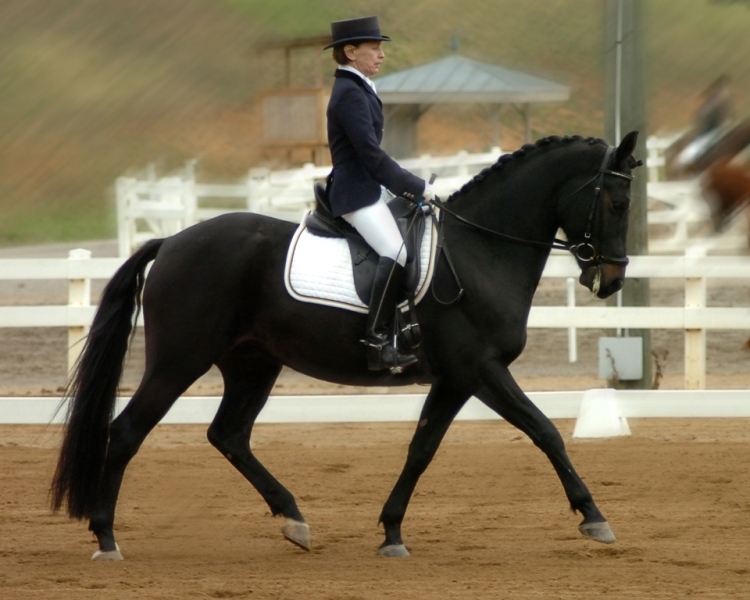 Even though show hunters are an American specialty, German warm blood horses start to dominate the sport in the United States. 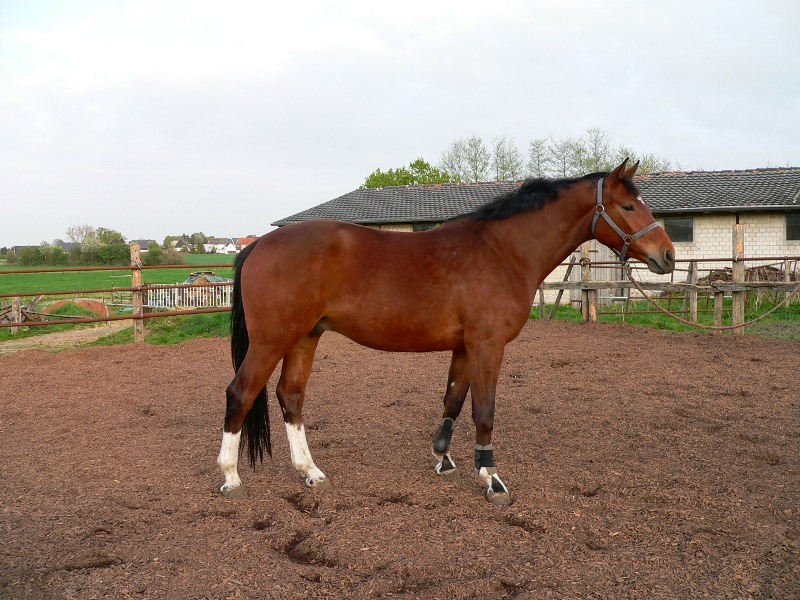 The reason is simple: Among the many jumping horses in Germany, horses can be found with just the right attitude, temperament, classic style, looks, and elegance for the sport. So if you are looking to find a top hunter, look in Germany! We have just the horse for you! 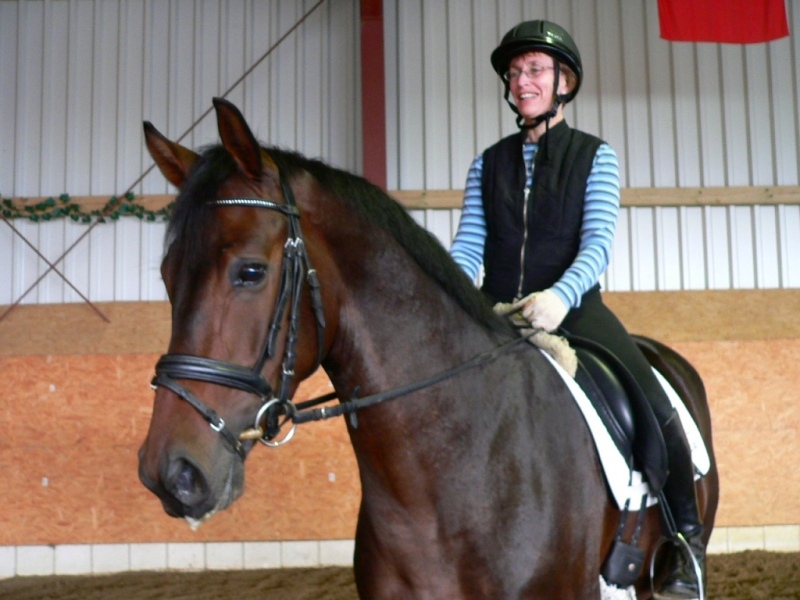 Combined with fine jumping and good flat work German sport horses are also ideal friends for equitation classes. See the great possibilities we can find for you. 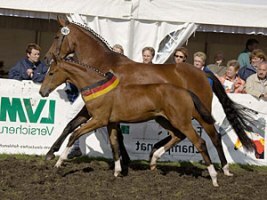 Event horses can also be found in Germany. Fine warm bloods that have just the right shot of thoroughbred in them to have the right combination of smarts, boldness, gallop, scope and stamina to be great for the sport. 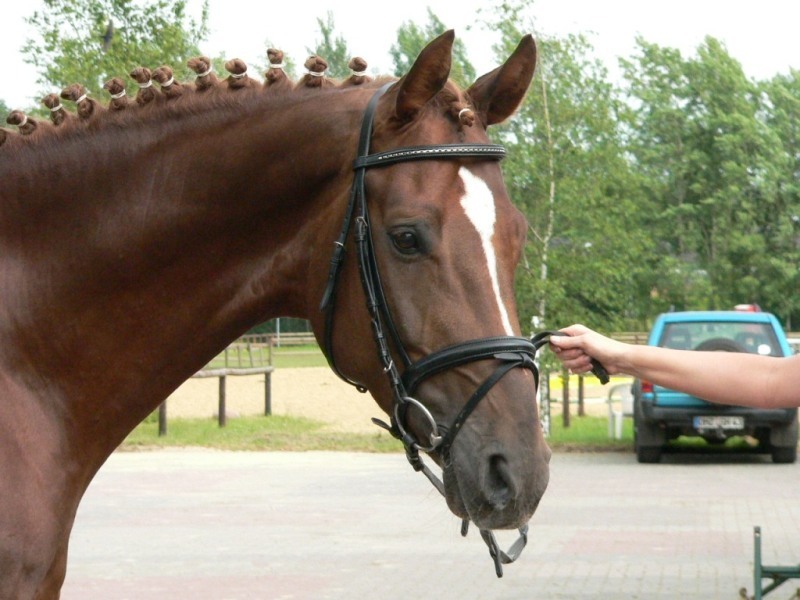 In all these disciplines you can find the horse that suits your needs. Let us show you the possibilities. Germany does not only have fine horses - there are also excellent ponies for children to be found. 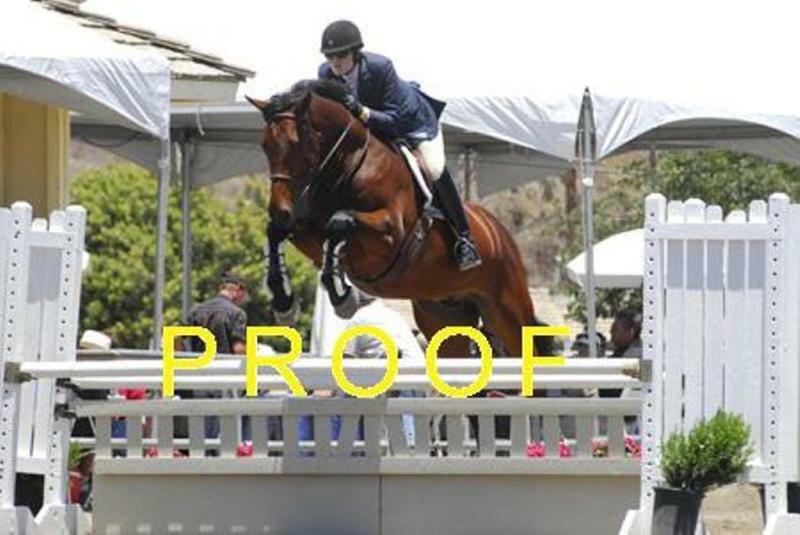 Ponies with real zest for the ambitious little rider and sweet, dependable friends to grow into the sport. They are very pretty, well trained little horses, and we are sure you will find that they can bring happiness and enthusiasms into the live of your child. You are interested in breeding stock? We find the horses for your goals. They will encourage you to go the long way to breed fine and sought-after horses. Since it takes time and patience, the result you get should reward your efforts. The quality of a horse is a combination of many things. 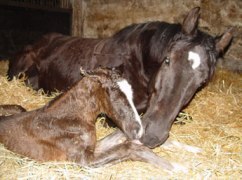 It starts with the careful consideration of breeding the most proven mares to the most fitting stallions, the care given to mares and foals during birth and the bringing up of the young horses together with playmates on big, lush pastures. 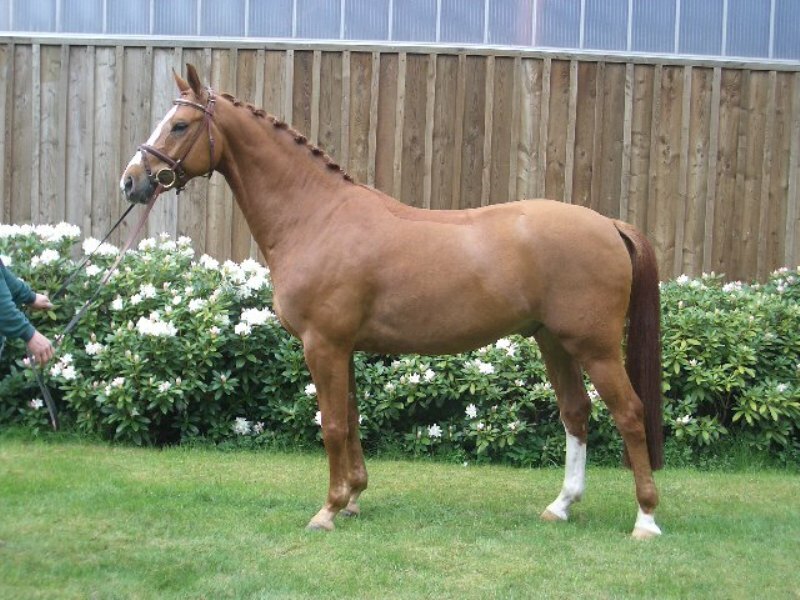 This way of raising young horses is the best start a horse can have to develop all the wonderful potential they have through the careful breeding and the fame of their parents and forebears. You can see this wonderful source of energy, strength, character in the lovable personality of these young horses. 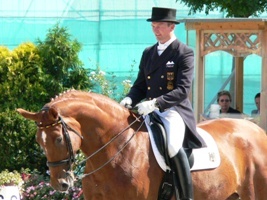 The quality of the German sport horse is a product of the prominent place horses and equestrian sports hold in Germany, where it is quite common to watch horse shows on television. These wonderful animals are the result of a concerted collaboration between hundreds of individual breeders and the various breed associations (Verbande). Every year, each association carefully selects the approximately top one hundred 2 and 1/2 year old stallions and brings them together to be compared. 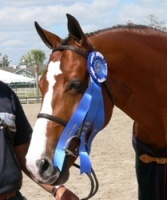 Breeding, conformation, temperament, and stamina are the essential qualities of the world’s best sport horses. A similar selection process is done with the mares. Most of this activity occurs in a relatively small geographic area. One of the seven equestrian disciplines recognized by the Federation Equestre Internationale (FEI) for international competition is vaulting. 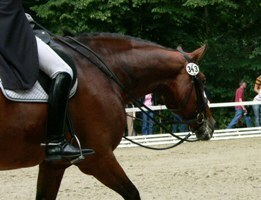 It is most easily described as gymnastics performed on the back (or other parts) of a moving horse. As in many other forms of athletic competition (figure skating for example), participants are judged on both a set of compulsory moves, and in freestyle competition. With a history extending back to Roman sports, vaulting requires the teamwork, between the vaulting group, the horse, and a very experienced trainer leading the lunge and controling the horse in a circle. Vaulters may compete as individuals, in pairs, or as a team. 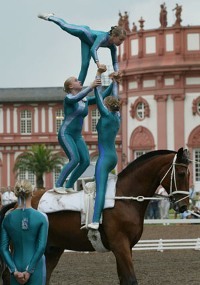 Vaulting promotes excellent balance, co-ordination, harmony and respect for the horse. For those of us who ride also, it develops a strong seat and position, which is essential for riders of all levels and disciplines. Team work and trust is fostered through team vaulting, and we also learn about horse care at a reasonable cost much less cost! Many children have the first contact with horses that way – and often hook’s them for live. Some lives are unusual, some are difficult, some are tragic! But horses bring very special help and support into every live situation. Horses do not discriminate and turn away. On the contrary. They seem to feel the very special situation handicapped people are in. Gentle, careful and patient do they react. I know from my own experiences, working with young handicapped students, what wonderful effect the big movement, the warmth, the contact with horses can generate here. 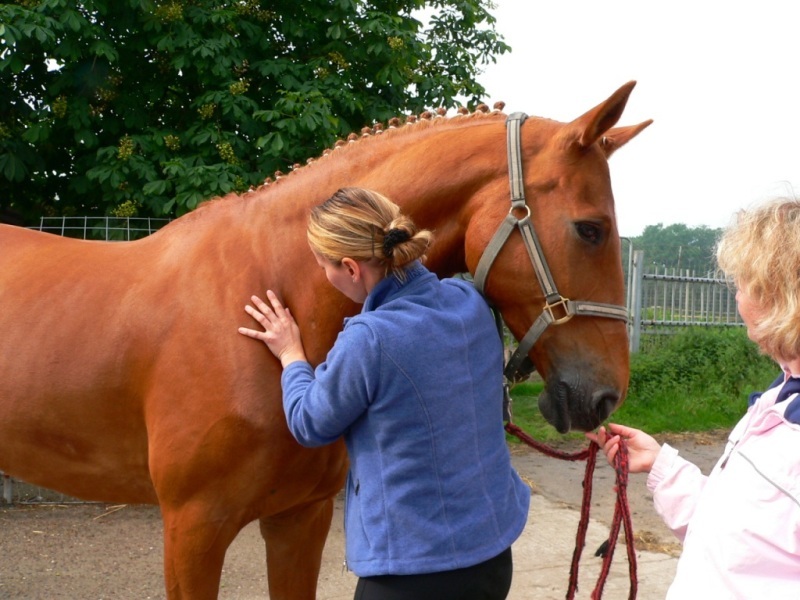 A rise in self-confidence, better physical movement and shier joy is the result of contact with the horse. Many thanks to horses that are talented to do this work! Have you ever seen them come around a corner? Four in hand? Excitement pure!! Driving is a very special sport, and when one sees the work and passion connected, respect is in order. 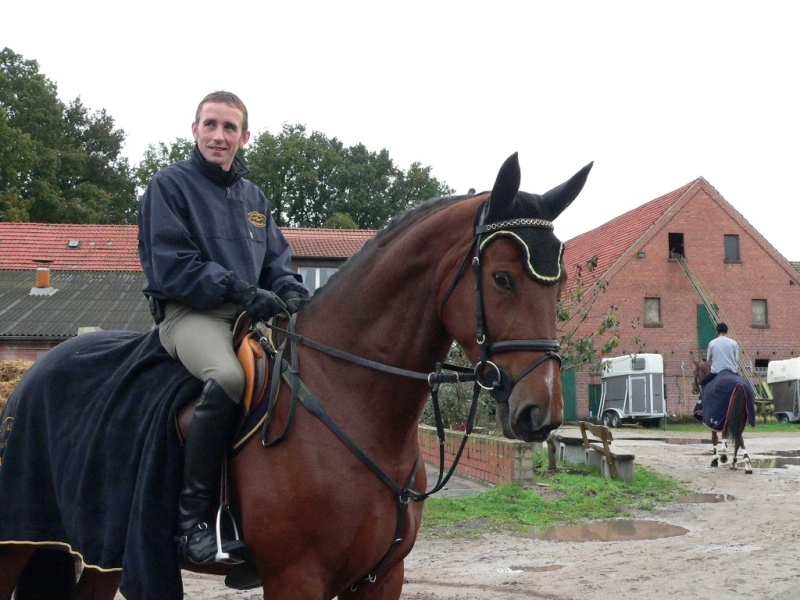 It asks for a lot of horsemanship from the driver, a lot of real dedication. An sport that puts demands on the whole person and a team. If you have ever a chance to watch the sport, our recommendation: Do not miss the chance! And here too, German horses know what it takes! 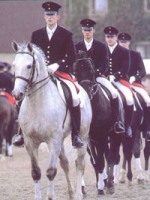 Holsteiner warmbloods are considered the “ Rolls Royce” among the driving horses. Wonderful, elegant and top sport partners. They can not only jump the world, they can also pull it! A fine horse is not bred in an instant! 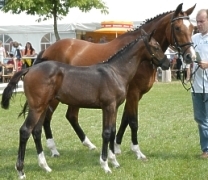 A sport horse of the quality you find in Germany, is the result of a long tradition of horse breeding. Since mankind saw in the horse not only a useful game to hunt, but an animal that could be of great value to ease live in a very hard and difficult environment, a long tradition of growing together started. 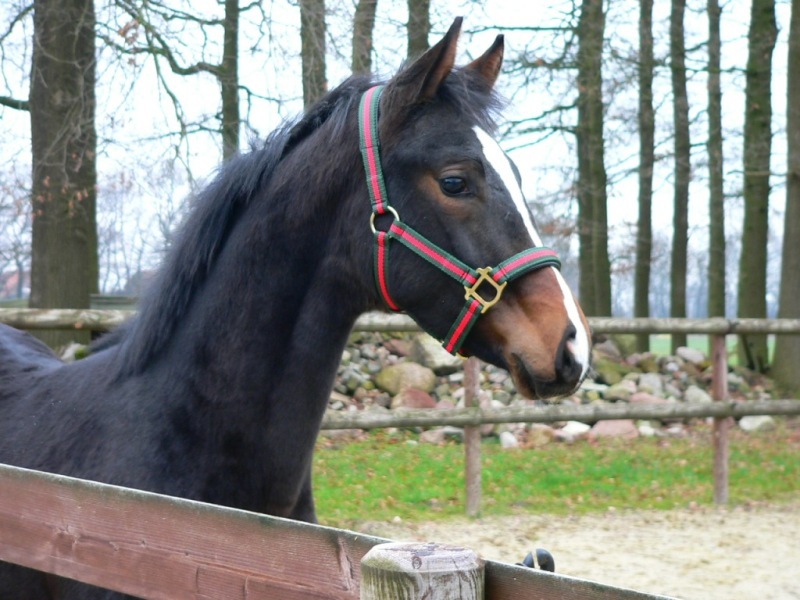 Out of this long and varied connection developed a feeling for the horse, that did not stop in the pure commercial use, but developed an emotional attachment. Horses have the ability to trigger many feelings: affection, love, pride, compassion, and competitiveness. A feeling very present still to this day. Working in the old days. The forerunners of the systematic horse breeding in Europe were the royal studs, which already existed before the year 1600 and had the purpose to provide quality stallions at affordable prices to farmers to improve the riding, driving, and work horses. Understanding grew that the better quality of the horses lay in the selection, in the use the horses were bred for and surrounding influences like climate and the land. Influential was the addition of new blood in the breeding programs. By the beginning of the 19th century, the English Thoroughbred became important, helping to produce noble, agile half-breeds for royal use. 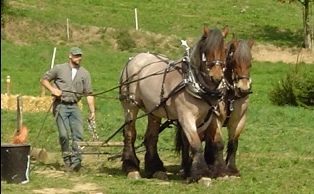 After the turn of the century, the goal was to breed a "strong horse" able to perform all agricultural tasks, but still be a good-moving sensitive riding and driving horse. 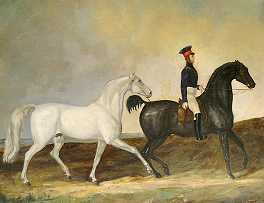 The end of World War II saw the breaking away of the eastern breeding areas, especially that of the "Trakehner horse". 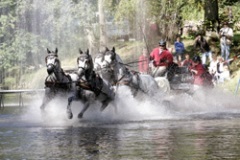 Only a small number of these horses could be saved into the "west" to continue the breed. The breeding areas formed new associations, building on the very successful structures of the past. After the reunification of east and west Germany the eastern part of the country grew back into a breeding system with very good results. The base for that was the very thorough selection of what was left of the breeding stock. Working with the horse is a compassion that grips breeders, trainers, riders, drivers, and all connected beyond just a profession or making a living. It is filled with excitement, diligence, fun, pride, and a lot of professionalism. That includes, an very important part, the working together of all people concerned with the horse. 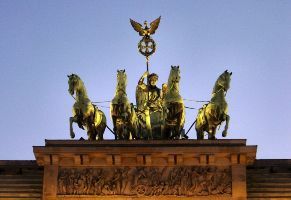 Since the horse is such an important part of German culture, the States took over the part previously held by the aristocracy. The old tradition of stud farms, now as "state stud farms", is financially supported with tax money. An unique system that supports breeders to this day in their efforts. The state studs get to pick the best stallions from the licensing evaluation and to buy them with tax money. The associations were very important in their work when horses lost their significance as working animals and equestrian sports grew. 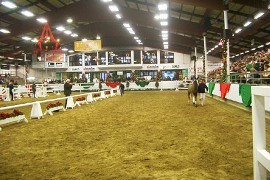 There was an increase in leisure riding and regional, national, and international competition. The main task of all the organizations is to set standards, serve its members, promote the horses and look after the administration involved. This is done with great dedication. 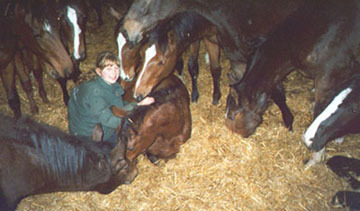 There are always questions to be solved and the associations are the forum for everyone, especially for the breeders. 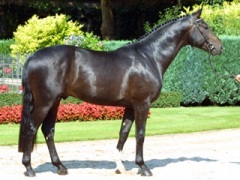 The organization of the important stallion selection, the evaluation of foals and mares, marketing through auctions, and the ability to use emerging world wide communication techniques are all part of the successful work of the breeding association. 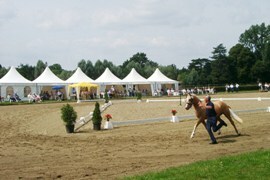 The result of this unique system is the German Sport Horse. Beautiful, strong, and elegant animals that impress with grace, athletic ability, and a very sweet personality. 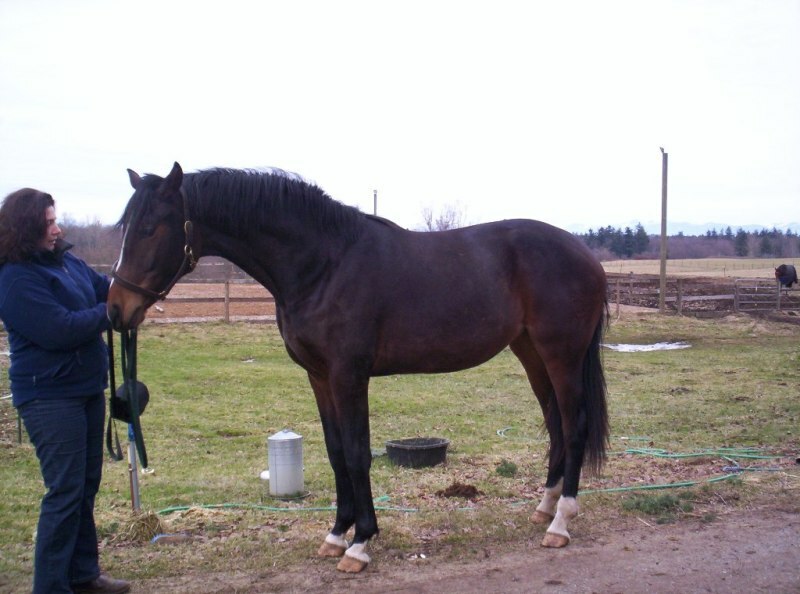 In the careful breeding of the horse, great emphasis is given to the health and hardiness of the horse. If you have ridden them, you also know what they feel like. The movements are smooth, even, but powerful, and it all emanates from the way they are bred. 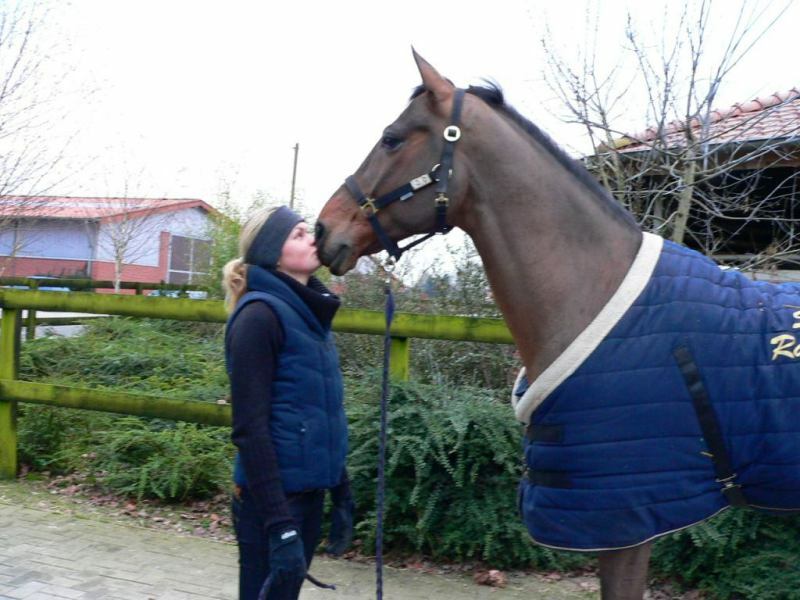 A very strong sense of partnership connects rider and horse. For advanced riders the intelligence of the breed, the quick comprehension, and the eagerness to please and to participate in work is very much appreciated. 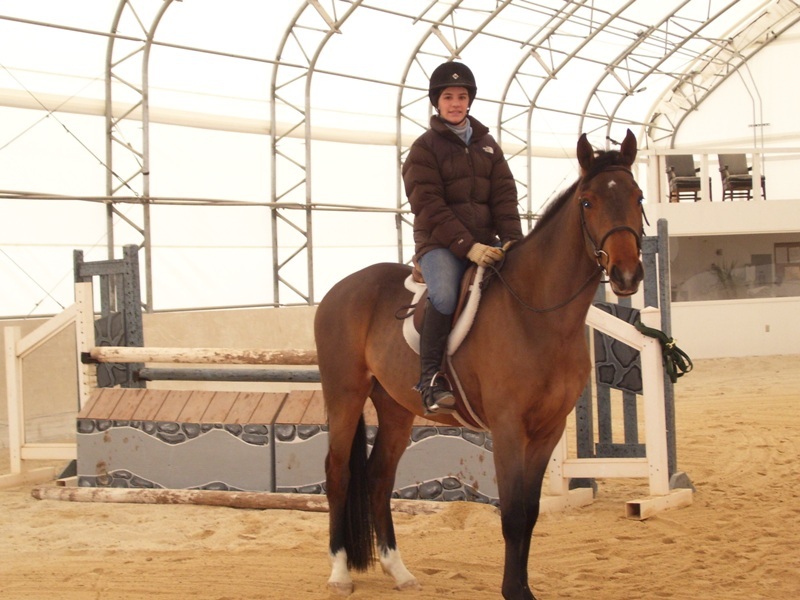 For beginners, the sweet and often forgiving nature of the horses encourage riders to learn and to become accomplished riders that can have the best fun riding. 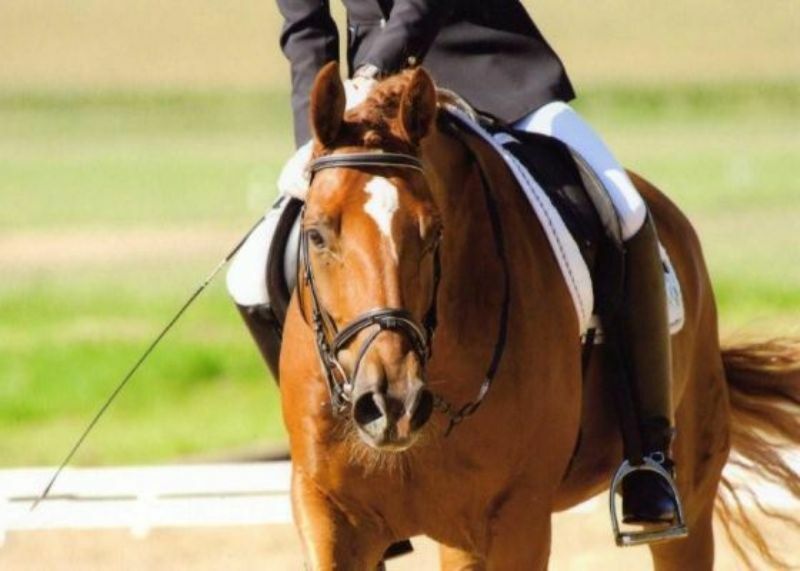 The great successes at the top level are the most visible worldwide and has been confirmed with the leading position in the world breeding Championships for sport horses in dressage and jumping. Future prospects are coming along very well too. 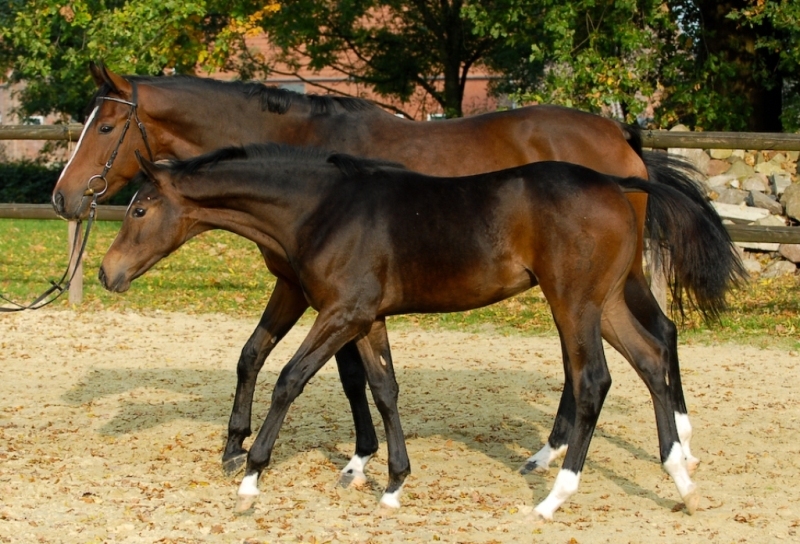 Champions in all disciplines and youngsters with a bright future secure further successes for German sport horses. Despite the valuable successes at top level the roots are not forgotten. 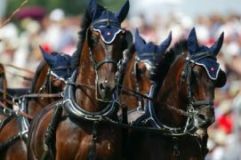 During the season’s opening at the Verden indoor show, the chairmen and managers of the breeding associations come together to exchange views, talk about their horses and also have a fine time together. 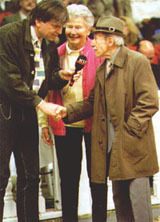 This is another example for the close cooperation between breeding and sport. The breeders know that they have to approach the riders for feedback and to get to know their demands and keep them in mind when they match up the mares. 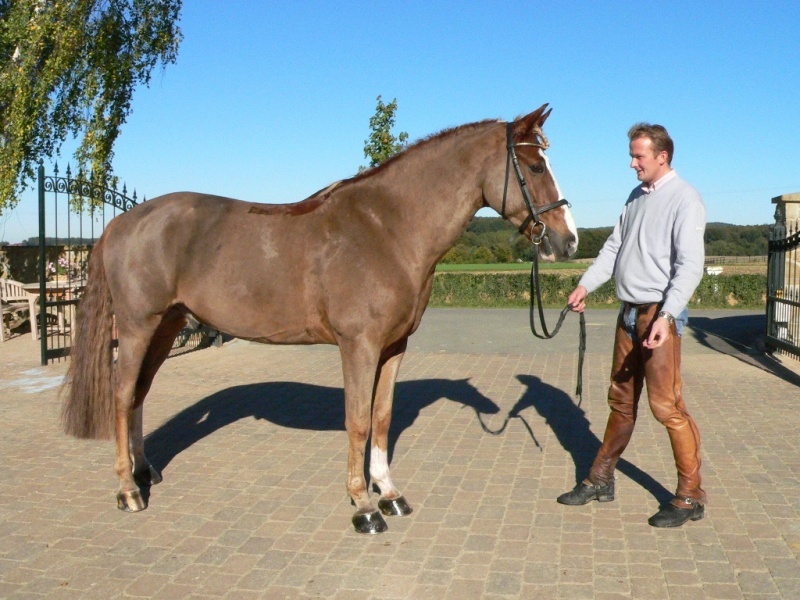 The German breeders aim always for the best and produce riding horses with talent for both disciplines, good temperament, type, rideability and outstanding basic gaits that are in great demand domestically and internationally. 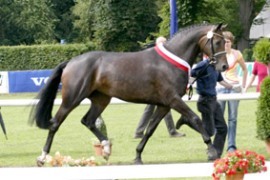 The national federation as well as the associations do keep vast data through the breeding evaluation. It can not replace the "know how" and experience of horsemen, but support it. Here, the long tradition of German breeders makes all the difference! Even today, horses are very important to the farms. In many ways, they continue to be part of the family and the connection to the farmers’ roots. With incredible pride and passion, these people present their horses today, proud to have bred the working horse of the past into the best sport horse in the world with a wonderful future. Modern times had to bring modern horses that suited the changed needs. The importance of bringing love, excitement, sport, warmth, and character into the lives of so many gives the horse the standing it still deserves. 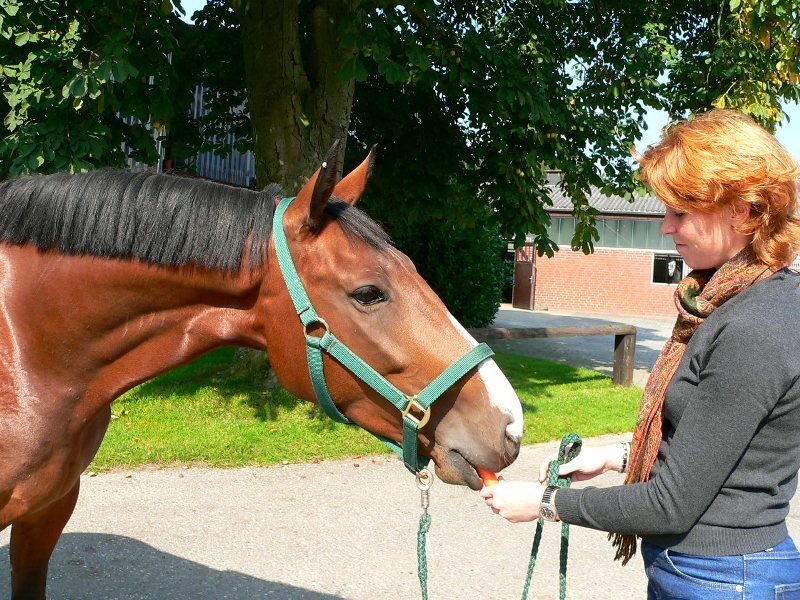 Horses need to be easy to handle and they have to be suitable for the new uses in sports and recreation. Unchanged, however, is the basic loveable nature of the horse that keeps it so attractive. 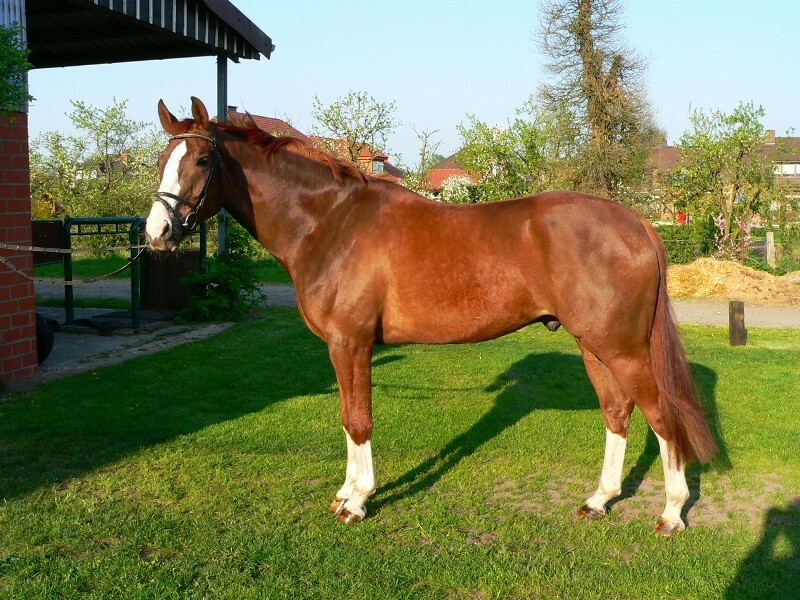 To choose among hundreds of authentic German horses out of the whole range of German bloodlines, from the best breeders and the best breeding stock, is an experience you will find only in Germany. 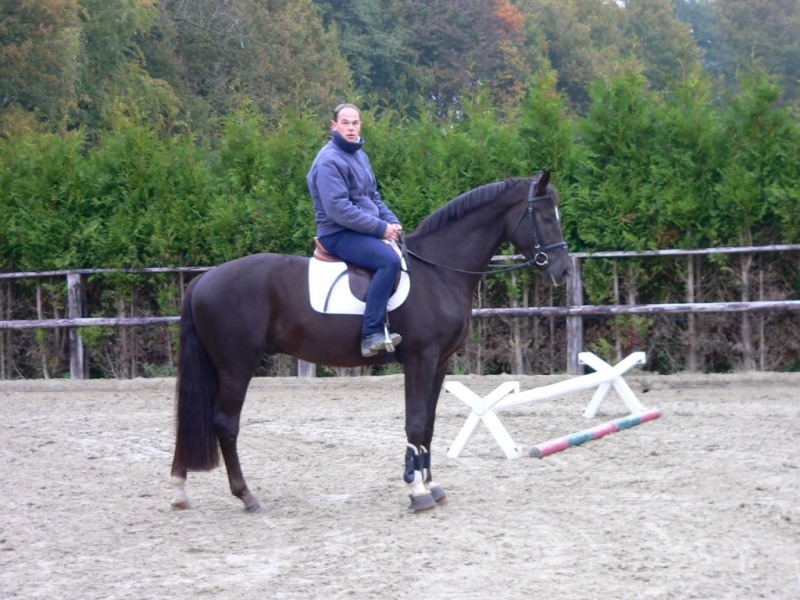 The main breeding areas for German Sport Horses are concentrated within a relatively small area in the northern part of Germany. 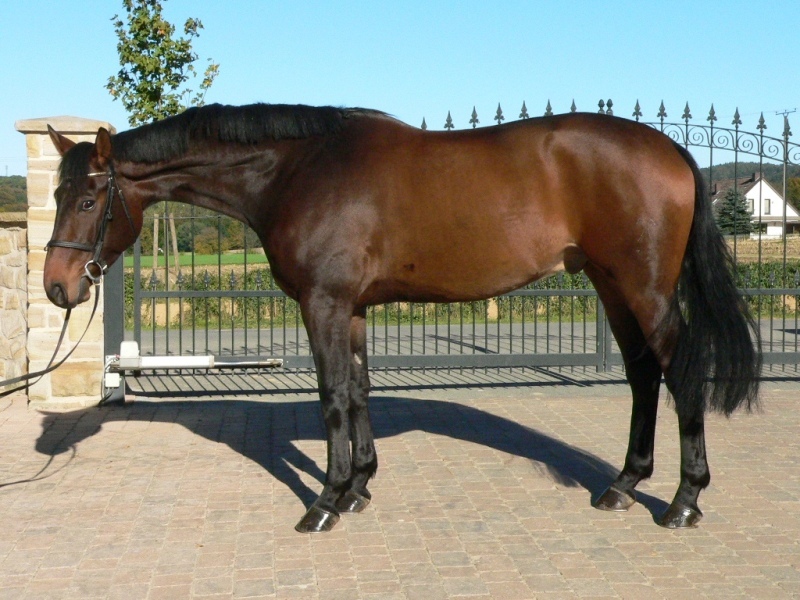 Easy access to farms, auctions, and training stables make it very easy to look at a large number of high quality horses that might suit your needs. You can choose from all ages, groups, and training levels you want. 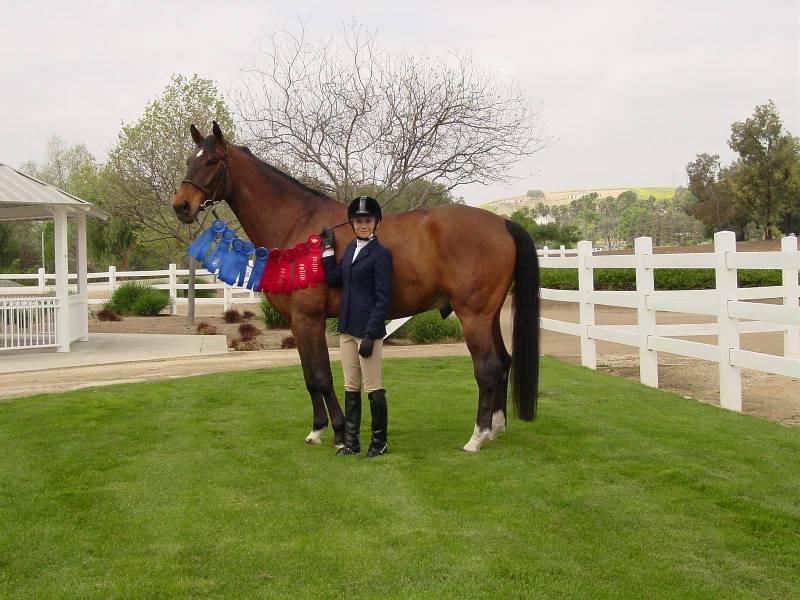 From a foal to a grand prix horse and everything in between. If you have any preferences regarding colour, size or build, they surely can be met and that holds true too for preferences in character and temperament as well! You can find it in Germany! You want to get the most for your money! We want to make sure you do. 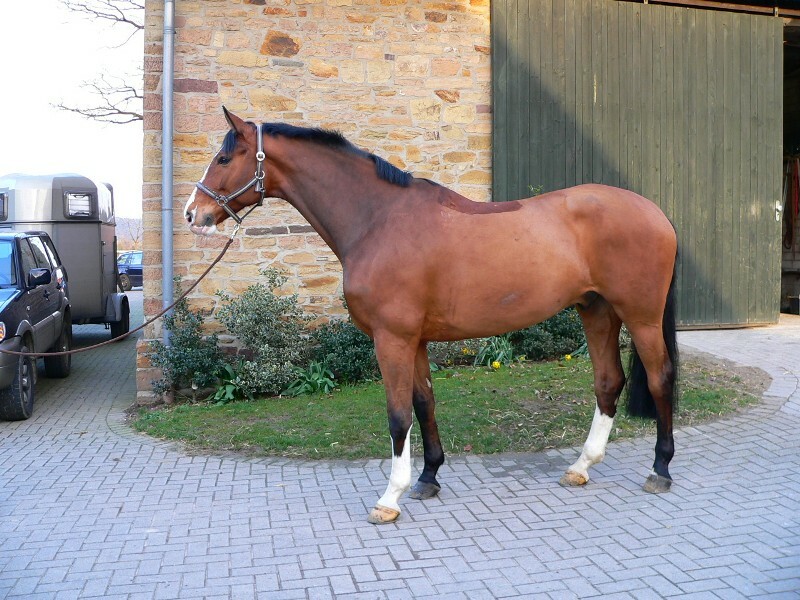 The German horse market offers the best conditions for getting your dream horse at a fair price. 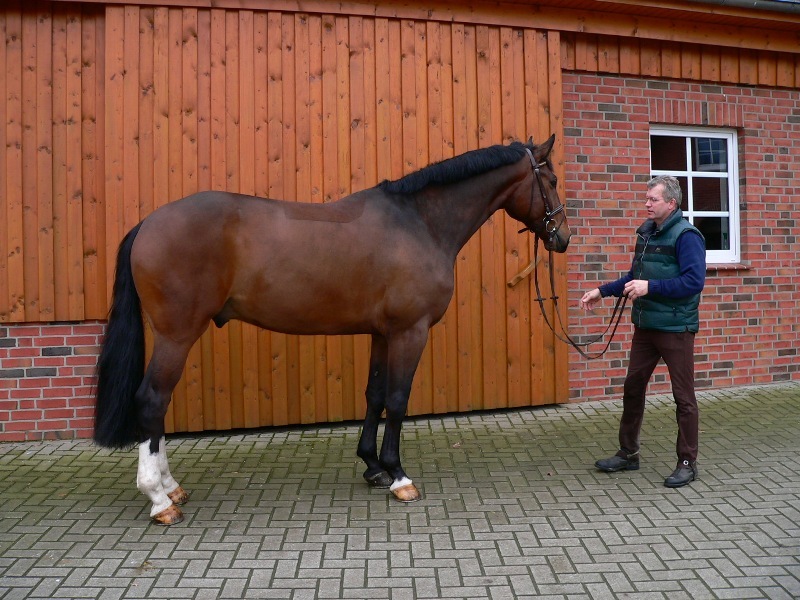 The greatest advantage you have in Germany is that there a lot more horses of the quality you want. 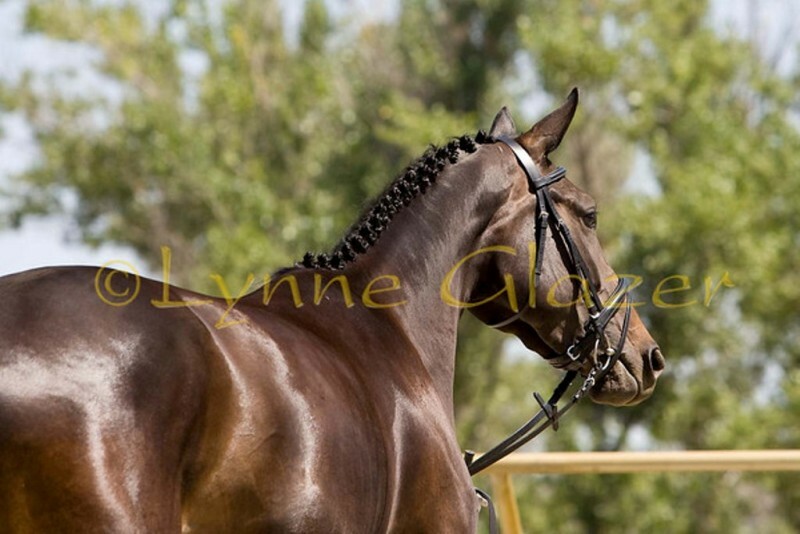 So you have the opportunity to compare the best horse you like with the price of other high-quality horses. 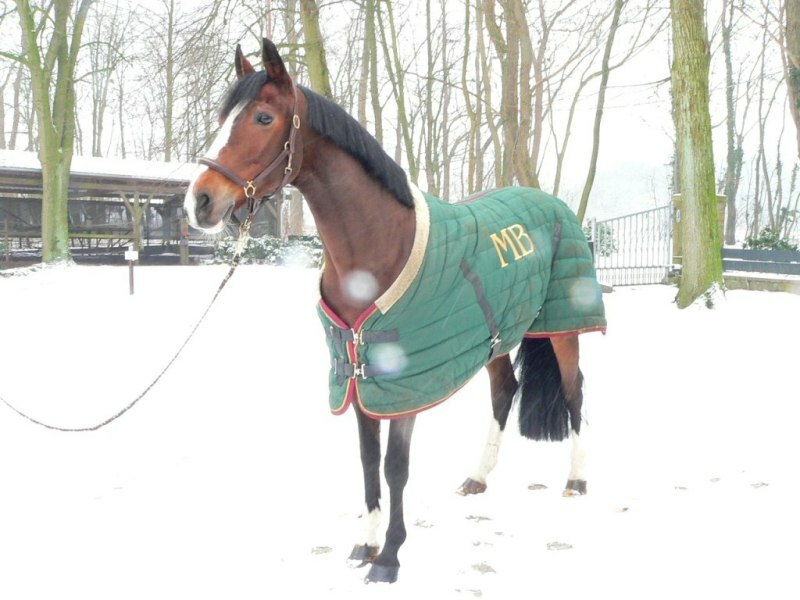 Naturally, you can’t buy a million dollar horse in Germany for $10,000. 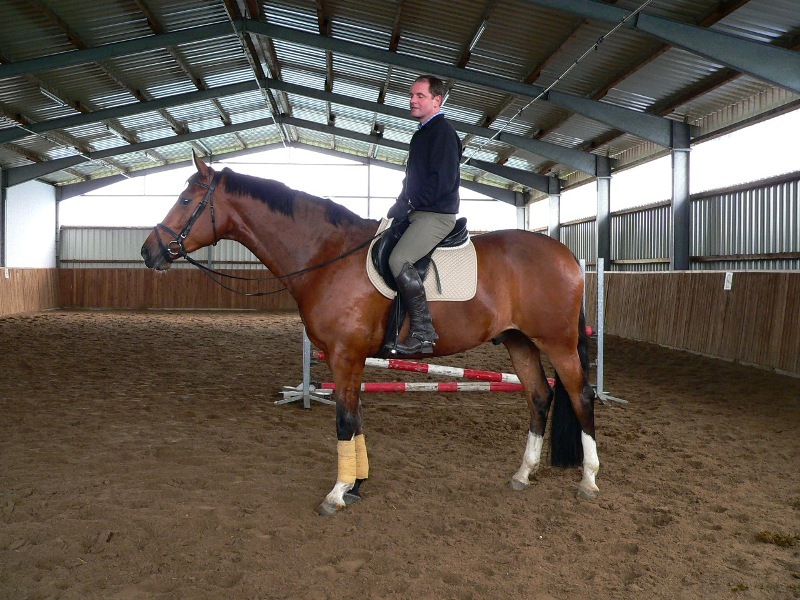 The very top horses cost a lot of money in Germany, too. 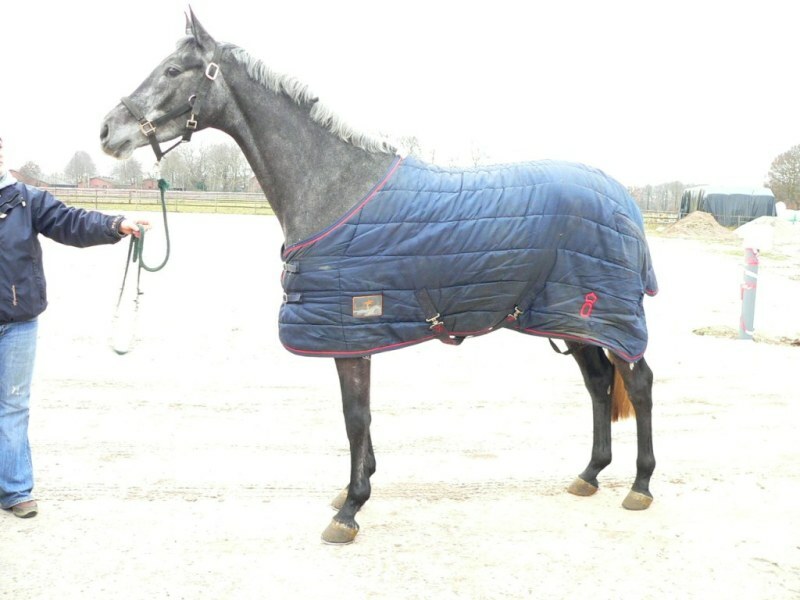 But since more quality horses are for sale, the prices are much more reasonable than abroad. You have a lot more horses to choose from than any where else in the world. 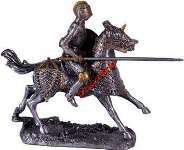 Wonderful, suitable, high-quality riding horses at fair and reasonable price are plentiful. We will try very hard to find the horse you want for the money you want to spent.